The collaborative YouView project is one which is developing well feature-wise, the latest of which being a new function available to customers of BT. 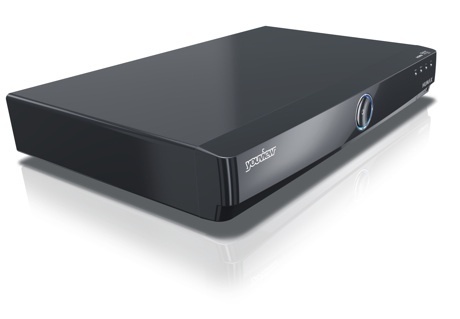 The update, currently available exclusive to BT’s ‘Humax YouView Box‘ customers (but set to roll out to TalkTalk-based YouView customers ‘in due course’ in 2014), are now able to record programming seen on select internet TV channels, being able to set DVR-style timers in a similar manner to regular aerial-based networks. In addition, it is noted that this naturally means users are able to pause and move forwards/backwards in the content where applicable. The update, is designed primarily for all channels listed in the ‘BT Extra TV’ section (EPG #400+, working channels identified by 3 dots underneath its number), including popular names such as BT Sport and Comedy Central. Users are advised that they are still able to record two shows on different channels simultaneously, regardless of whether their source is broadcast or internet-based, whilst on-demand programming is able to be viewed on top of the records even in such a scenario. Aside from providing the term to those that truly need it, will the ‘clearer user journey’ from YouView have a double meaning with the increase in internet TV functions? Is Internet TV Being Held Back By The Lack Of A Recording Function?